Postcards From Success 007: Business Owners: “BBalance’d and Remember To Breathe” – Success Happens Here! …well, all people in might want to make the healthiest choices for their mind, body and spirit. It allows us to be live longer with less pain while being present for those we love and those we work with as business people. The ability to think clearer, make better decisions and be more of who are; to give the best of us, not what is left of us. A Podcast, A Blog: bringing value for entrepreneurs, business owners and people in sales, like my REALTOR® friends. You do not need to be “into health” to enjoy today’s post & podcast, there’s something for everyone. But I guarantee you’ll want to live healthier after listening to the sage advice offered by my guests on today’s episode! My guests are successful entrepreneurs that share both their path to starting and running successful businesses, to networking and building alliances with other businesses; not to mention there are some great health tips offer here. Tired of waiting rooms and prescriptions that seem to do more damage than good? I have a holistic, healthy alternative I’m about to share with you! 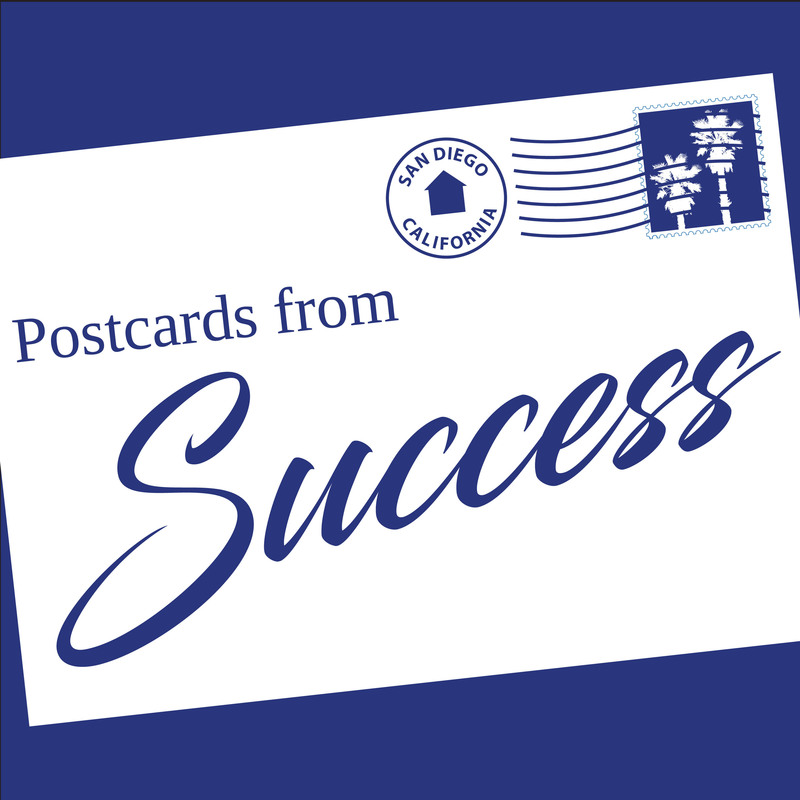 Episode 007 of Postcards From Success Podcast brings us an interview with two leading San Diego Holistic Health Professionals and Business Owners. Birgit Witherspoon, originally from a small village in Germany and founder and CEO of BBalanced and Remember To Breathe Center founder, acupuncturist and herbalist Nicole Stone, L.Ac. and both are members of a fantastic business alliance of wellness partners created by Nicole called Healthy by The Beach Practitioners. While both businesses tend to attract more women patients than men (statistically women take better care of their bodies than men-c’mon guys let’s step it up! ), both business owners stress that they offer preventative care for men, women and children. They have treatments for all ages and it’s never too late to start! Chatting with both women impressed upon me a few standout traits: they created businesses that fed their passion and desire to serve people through the Eastern philosophies and medicinal approach. Combined, both help their patients restore their bodies, minds and health with the holistic approach through acupuncture, massage, proper meal choices, breaking poor health habits, preventative measures that avoid getting sick, allergies or worse to begin with. There’s an emotional healing that comes with the transformations their holistic businesses provide. Cleanses & Detox, Gynecological, Symptom Surveys, Musculoskeletal, The Blood Type Diet, Counseling and so much more. Folks, I like maybe many of you, was skeptical about all this when I was younger. Since sustaining a significant injury and some weight gain because of it, I discovered the power of acupuncture, massage, herbal supplements and proper food intake among other holistic solutions to managing my pain, weight and general health. While I’m only reporting my personal experience and offer no medical advice, I do bring you two holistic business owners in this episode interview that not only share how they offer alternative solutions to Western medicine and diets, but both offer insights on how they’ve built successful businesses in San Diego, CA. Previous PostPostcards From Success 006: Running A Small Business with No Guarantees Next PostDo You Invest in Yourself or Are You A Loser?